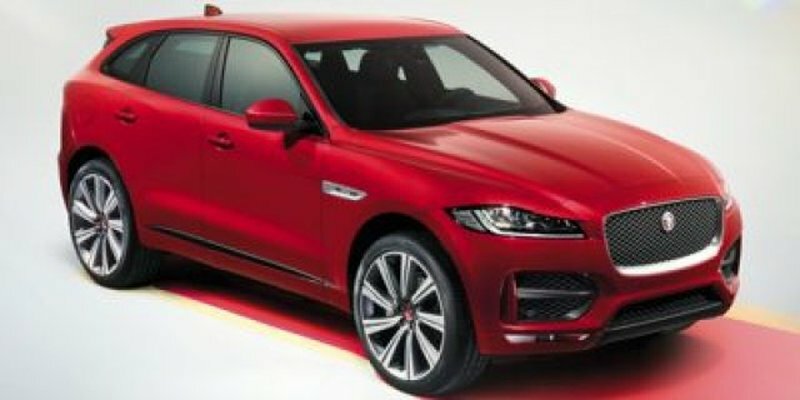 Bold and beautiful, this 2019 Jaguar F-PACE R-Sport commands the road. HEATED WINDSCREEN W/HEATED WASHER JETS, FIRENZE RED METALLIC, DRIVE PACK -inc: Blind Spot Assist, High-Speed Emergency Braking, Adaptive Cruise Control w/Stop & Go, Gloss Black Grille w/Chrome Surround. *These Packages Will Make Your Jaguar F-PACE R-Sport the Envy of Onlookers*Voice Recorder, Valet Function, Trunk/Hatch Auto-Latch, Trip Computer, Transmission w/Driver Selectable Mode and Jaguar Sequential Shift Sequential Shift Control w/Steering Wheel Controls, Towing w/Trailer Sway Control, Tire Specific Low Tire Pressure Warning, Systems Monitor, Side Impact Beams, Seats w/Leatherette Back Material, Rigid Cargo Cover, Remote Keyless Entry w/Integrated Key Transmitter, Illuminated Entry and Panic Button, Rear Cupholder, Rain Detecting Variable Intermittent Wipers, Power Rear Windows. * Visit Us Today *You've earned this- stop by Jaguar Land Rover Lakeridge located at 280 Achilles Rd, Ajax, ON L1S 7S3 to make this car yours today!Prices include all fees except licensing and HST.